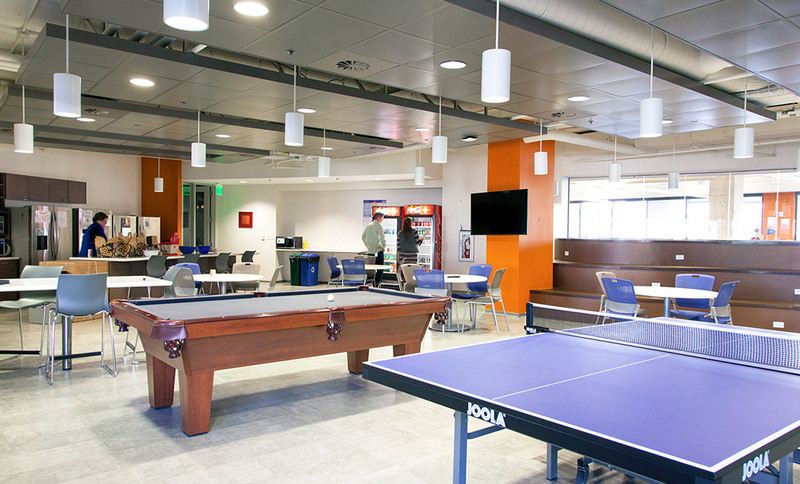 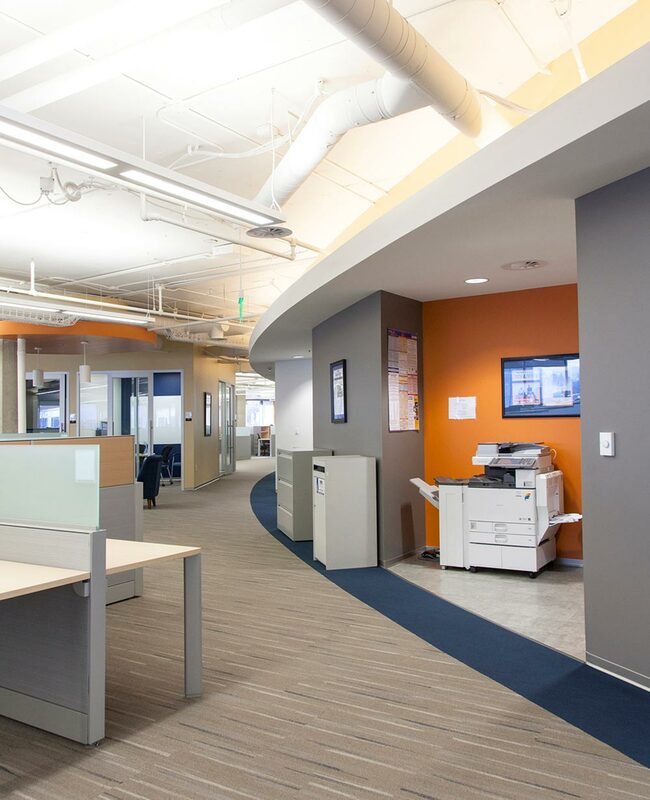 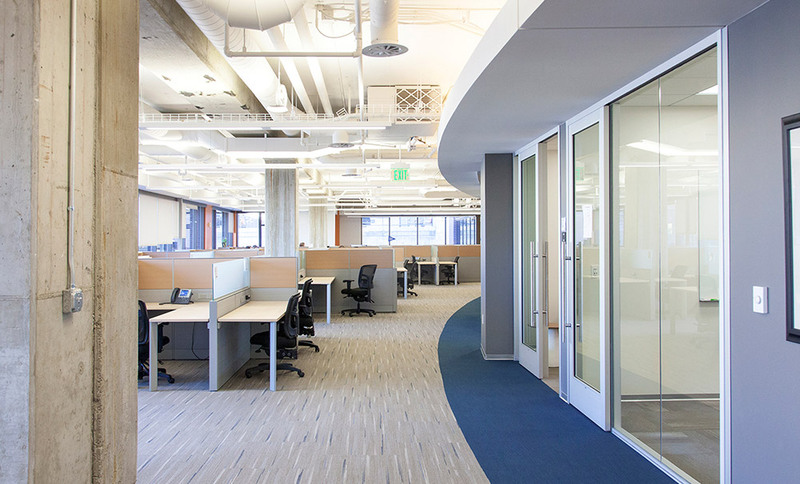 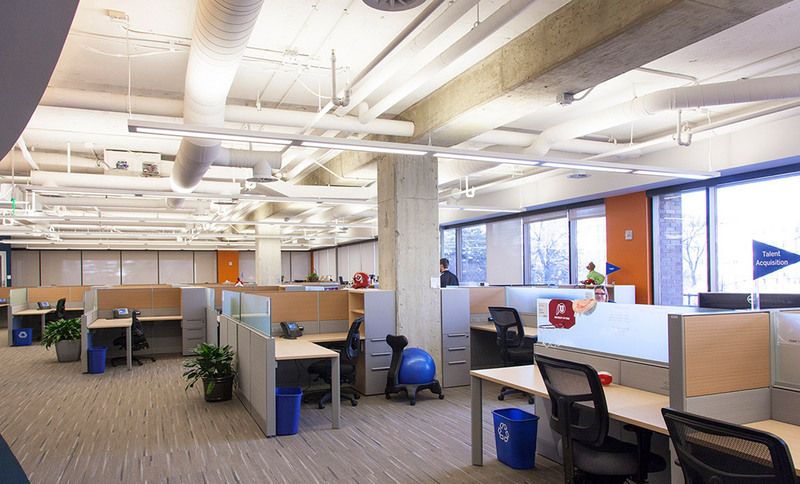 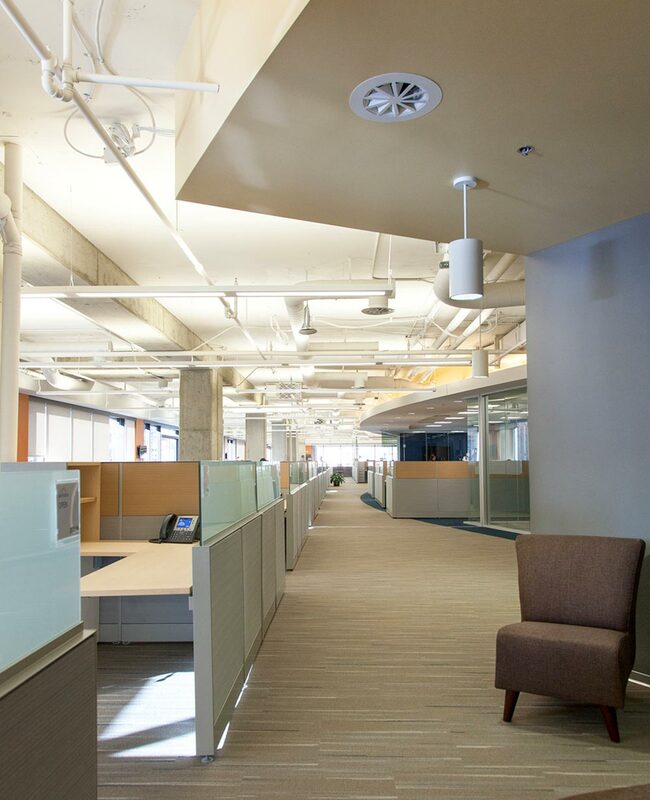 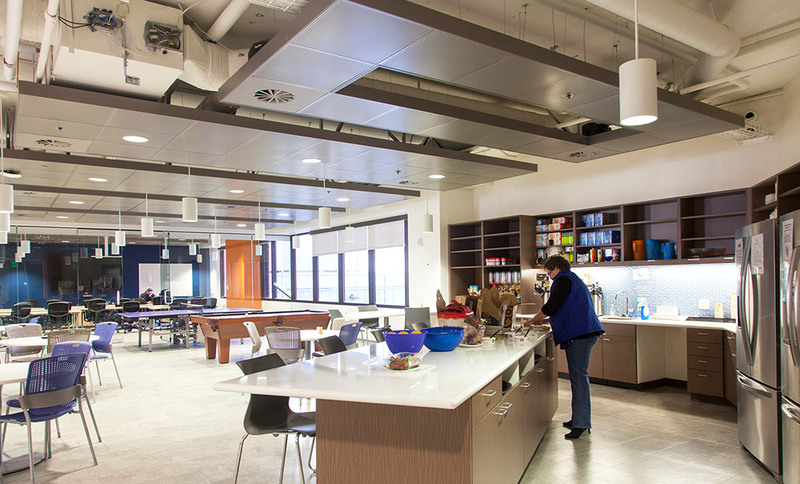 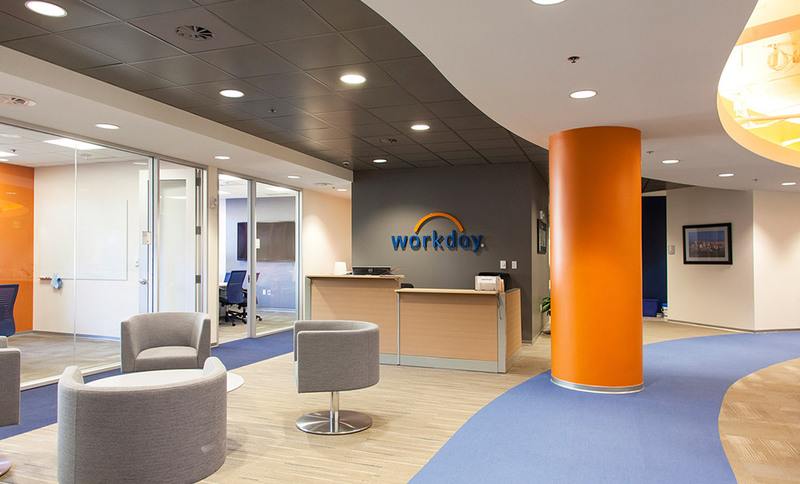 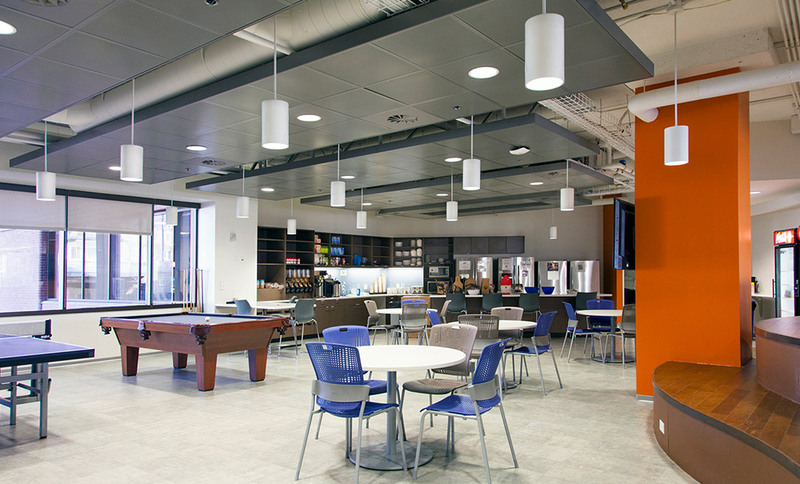 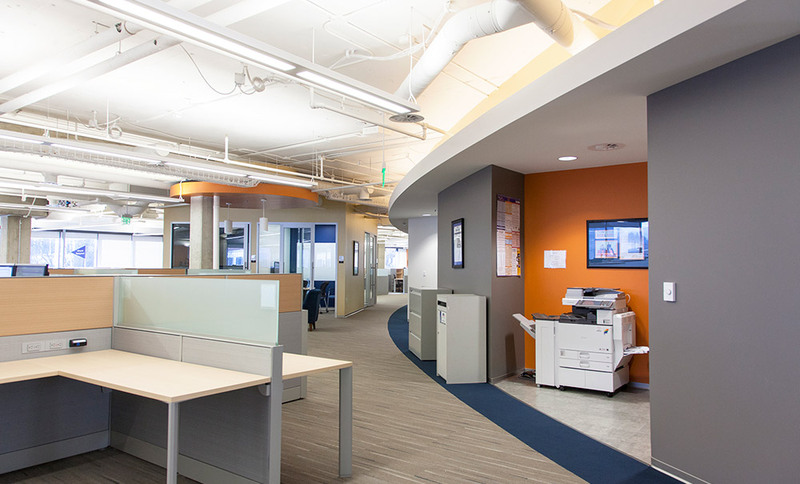 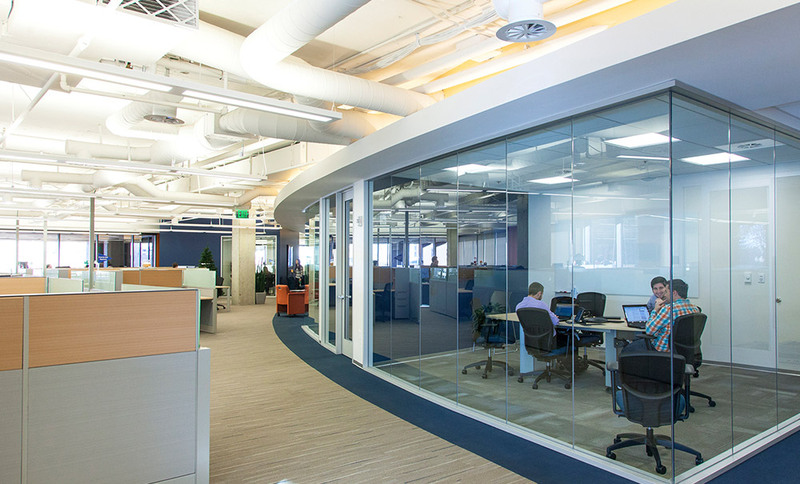 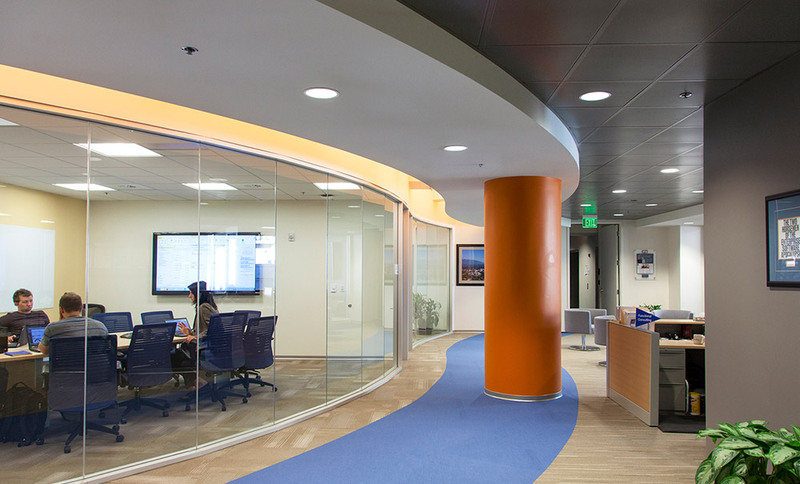 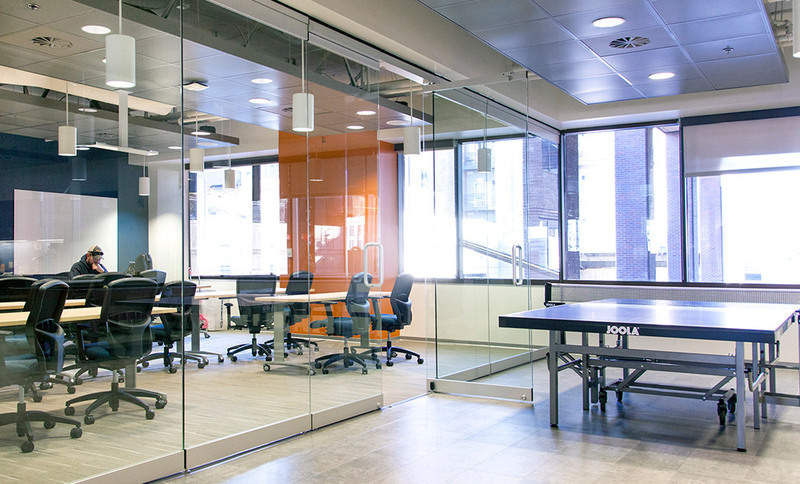 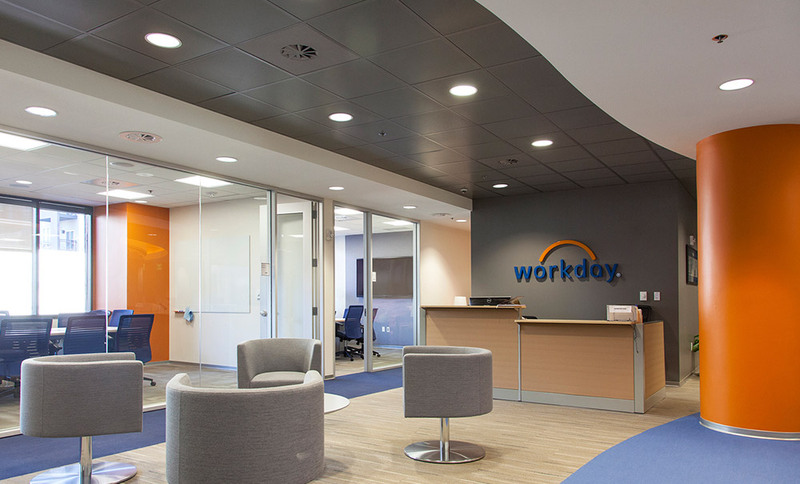 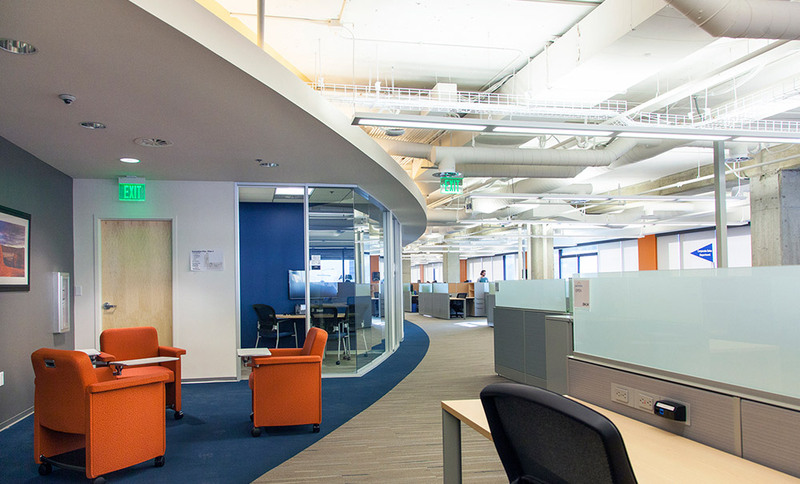 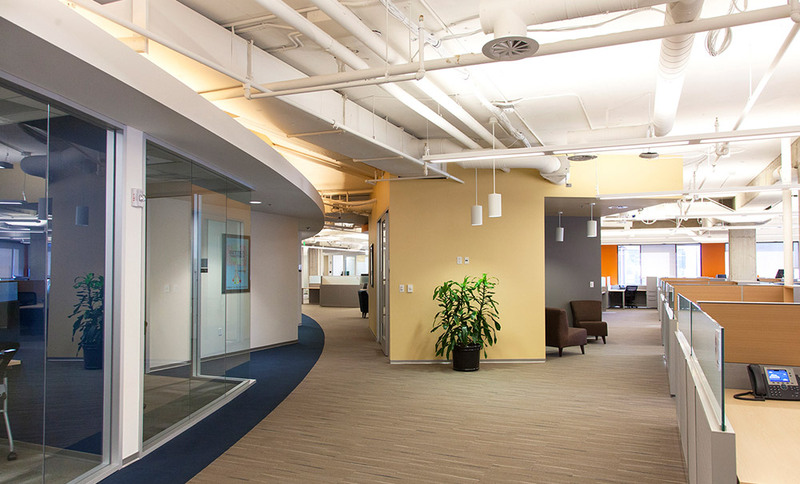 Located in the heart of downtown Salt Lake City, the Workday offices provide an open and inviting environment for the nearly 200 staff. 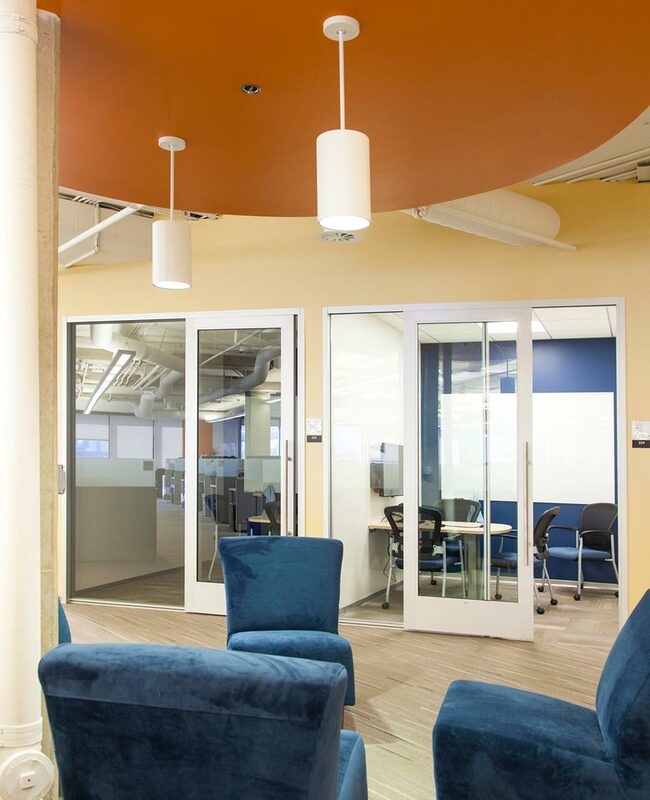 Vivid colors, open ceilings and glass walls are carefully contrasted by existing exposed concrete columns, with nearly all spaces receiving abundant natural daylight. 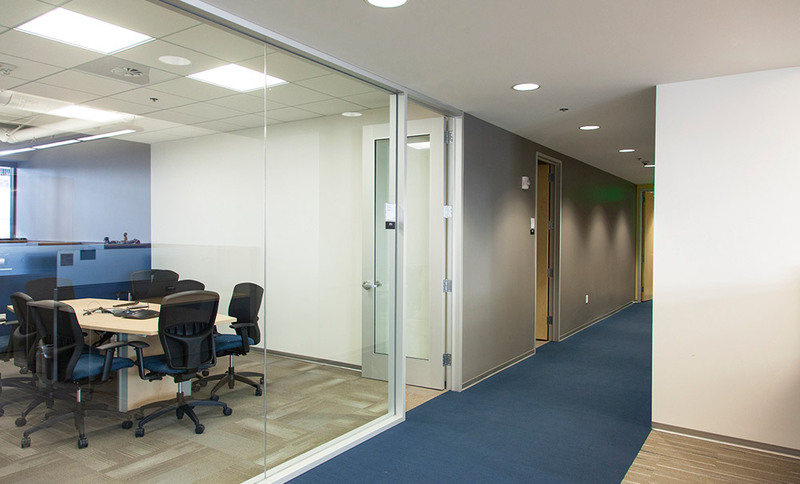 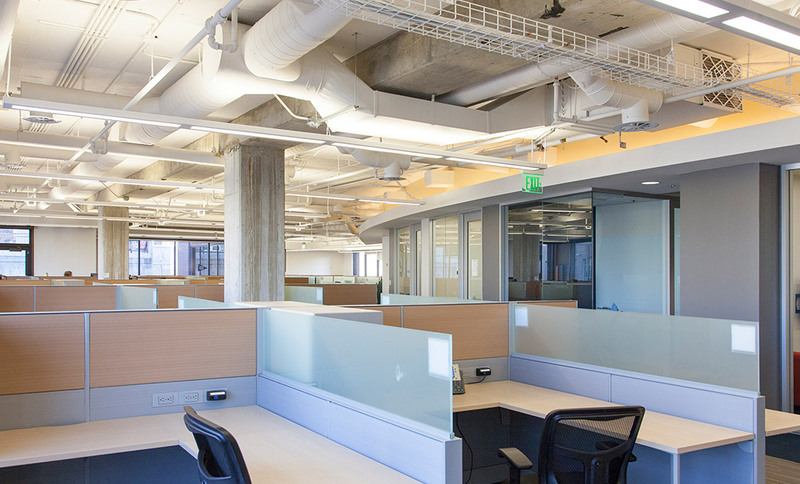 Enclosed common spaces, such as conference rooms, break rooms and offices are organized within a single large radius which extends through the entire office, while efficient open work stations are located at the perimeter where employees will spend the majority of their time.